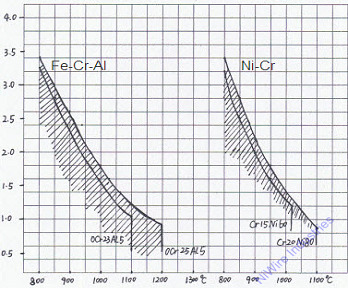 Surface Area Loading of Elecerical Resistance Wire | NiWire Industries Co., Ltd. Surface Area Loading is the electric power per unit surface area. The suitable surface loading is related with the material, size, structure , working temperature, abstraction of heat. While there is a difference on surface loading between industrial furnace and home appliance, so we can not define a general value. To make our clients much easier to design their industrial furnace, NiWire Industries engineer here attach the below figure shows the relation between furnace temperature and element surface loading. This our research from many years’ experience, including FeCrAl Cr23Al5, Cr25Al5 and NiChrome 80/20 and NiChrome 60/15. 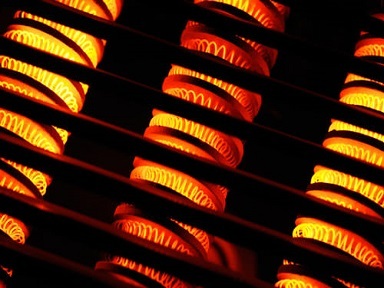 Usually strip heating elements has a higher surface loading than wire heating elements. Electric heating appliance no matter for industry or home, there are three kinds of methods to install the resistance heating wire. First is “embedded”. The heating element is embedded in insulation materials. 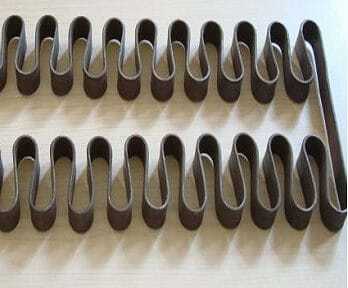 The heating element can not be moved or out of shape, and can not be easily oxidized neither. The surface loading will be 1-80W/cm2 under this situation. Second is “supporting”. 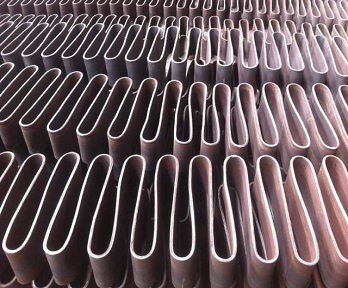 The heating coil is put on the surface or groove of fire proof material. The heating element can be stretched and distorted in shape. At this environment, its surface loading is 1-10 W/cm2. The third method is “hanging”. The heating element is hanging between insulation supporting place. The heating element can be out of shape because of its own weight. The surface loading is 3-15 W/cm2.